Properties built during the Tudor period with their characteristic timber frames, thatched roofs, overhanding first floor galleries and wattle and daub infill panels are picturesque buildings with their own set of property concerns and benefits. The beautiful Tudor palaces such as Hampton Court, Surrey and Mansion Houses for example Robert Smythson's Hardwick Hall in Derbyshire are outstanding examples of Tudor architecture and the village of Chiddingstone, Kent (National Trust protected) is one of the many villages across England with delightful examples of Tudor architecture. Click on the icons below for our survey examples of Tudor properties. 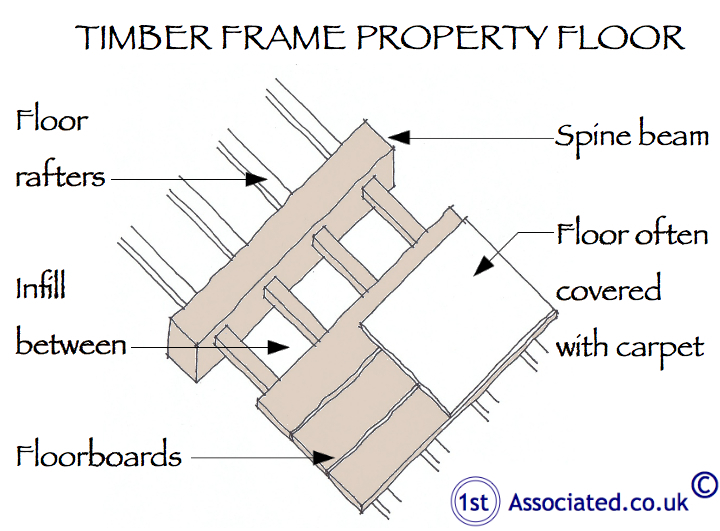 Our Tudor survey templates include many unique survey sketches appropriate to this Era of property including the adjacent timber framed property floor sketch. Call us or email for more hand drawn sketch examples.